Formed in the shape of a frog. Plated with gold, it's set with light-catching crystals that glimmer brilliantly. 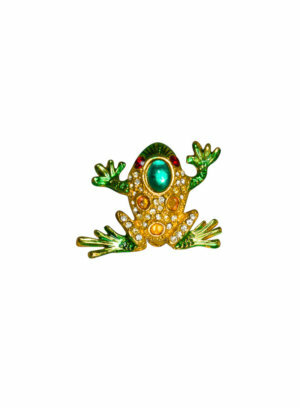 The Majestic Frog Brooch can be used as an accent to any formal or dressy outfit. 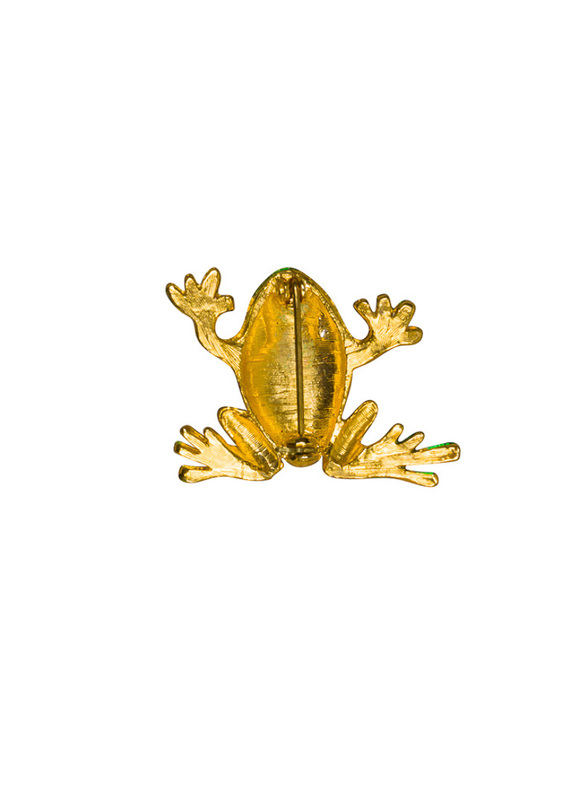 Material: Brass and Crystals Plating: Gold ANK's brooches are lead and nickel compliant. Measurement Height: 2.6cm Width: 3.5cm Be Bold, Sensual and Confident in an ANK's Brooch.